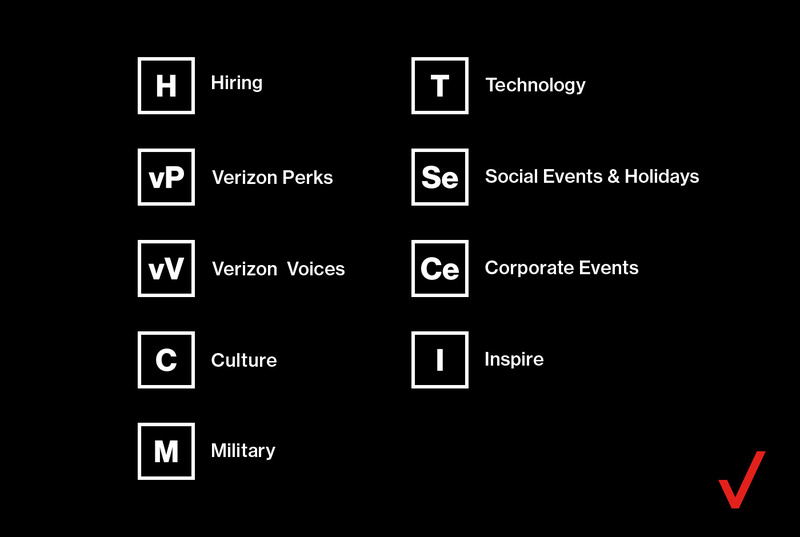 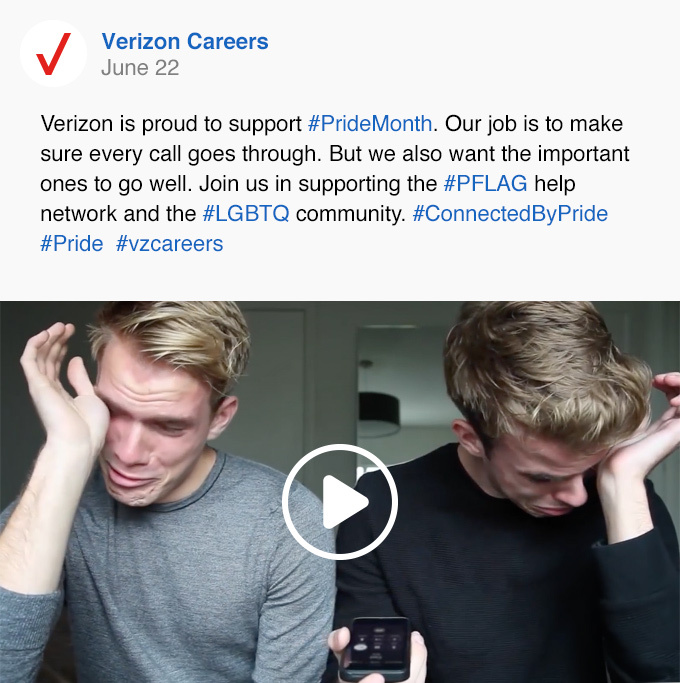 Verizon Talent Acquisition wanted to reignite its social media outreach to engage passive and active career candidates, and gain an edge with top talent in a competitive marketplace. 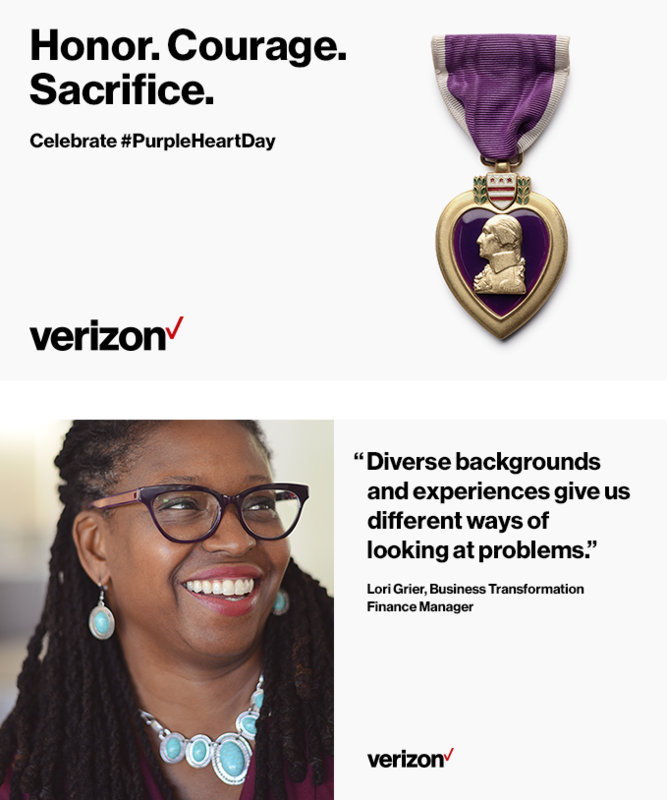 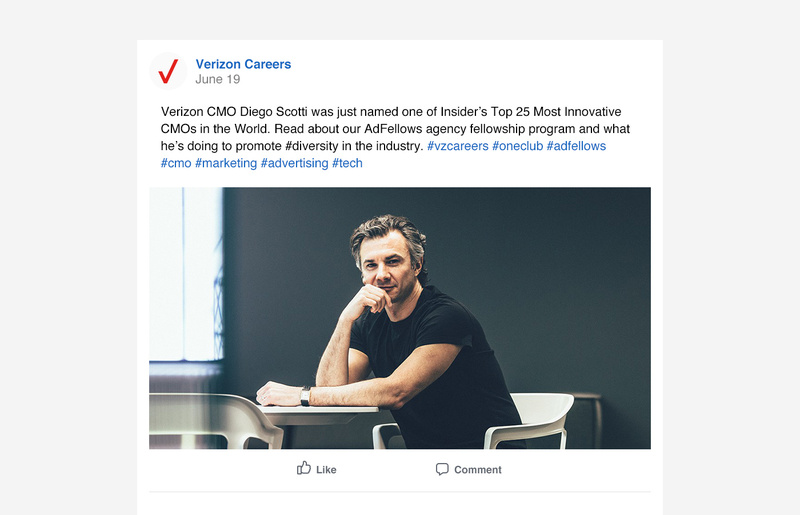 To strengthen the social presence for Verizon Careers, BNO developed a comprehensive content strategy, targeted for their best audiences, as well as a branded identity system to create an ownable look and feel across channels. 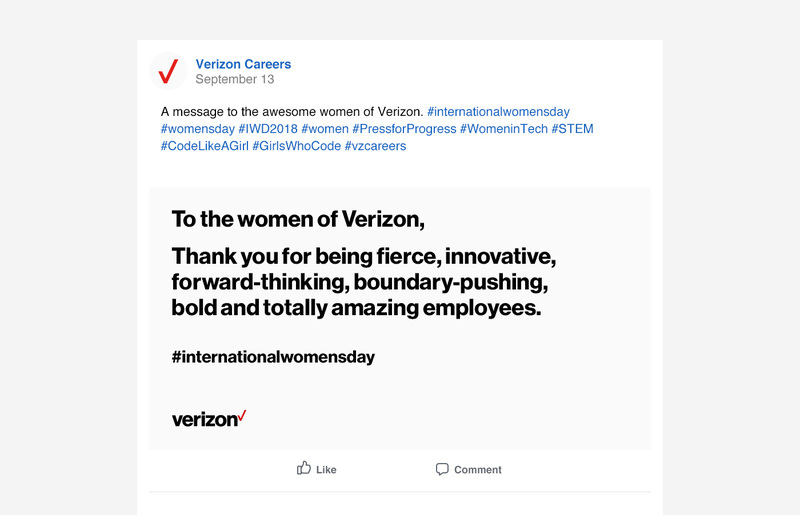 The result was a social media persona that positioned Verizon as a progressive employer and a true player in the technology space. 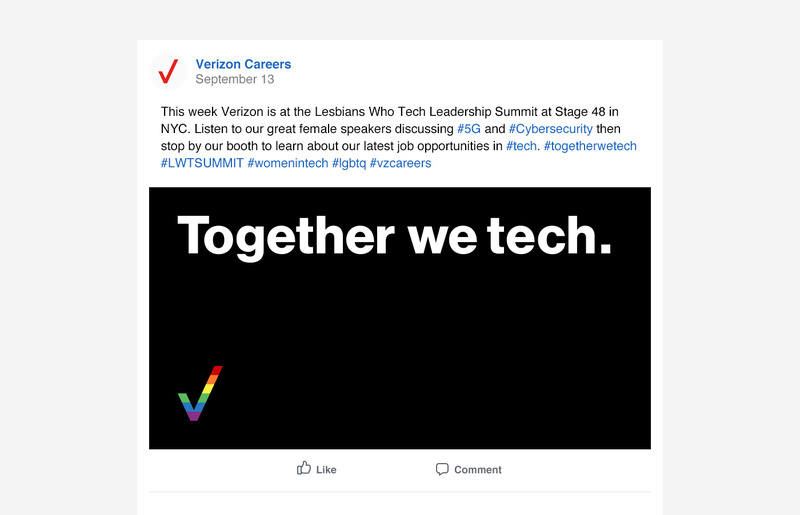 Scannable and relatable, the campaign dramatically increased engagement for the Careers social properties.